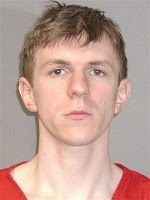 You may already know James O'Keefe and his "Project Veritas" - he got famous by selectively editing dozens of videos of visits to ACORN offices, making it seem as though he posed as a pimp and got help oppressing immigrant prostitutes. In addition to that disgusting pile, he also was arrested for trying to tap the phones of Louisiana Democratic Senator Mary Landrieu. And to top it off, he tried to dupe a CNN reporter onto a boat stocked with dildos, in some bizarre and aborted plan to embarrass her. I wrote about it before, here. Or you may remember his follow-up to these groundbreaking works of investigative slimery, his "Teacher's Unions Gone Wild" video. In this video, he tried to smear the reputation of a celebrated teacher, making her complaints about some of the injustices in the system seem like she was condoning them. She was fired, even though she had previously been praised by President Clinton for the time she rescued two students from an out-of-control van, throwing them out of the way and getting badly injured as a result. But hey, I guess the loss of a heroic teacher is just collateral damage to O'Keefe's larger cause, carried out by throwing mud anywhere it looks like it might stick with selective editing of his videos. More details on that one here. And finally, he tried to sting Planned Parenthood last month, but got pretty much nowhere when they didn't do anything wrong. Shucks. Well, he's at it again. A while ago, his organization set up a fake group called the "Muslim Education Action Center," or MEAC. They set it up with a very convincing fake webpage, located here (now with a new frontpage advertising the stunt). This webpage was not very objectionable by and large - it has fairly generic pablum about spreading the real truth of Islam, assisting Islamic schools in America, and opposing the "corrupt entities such as Roger Ailes' Fox News." So it didn't really go over the top, and you'd be hard-pressed to find anything to really seize on as sinister. This didn't stop some conservative bloggers, of course, such as Pamela Gellar (creator of the "Ground Zero Mosque" nonsense). She found it outrageous, sneering at its fairly commonplace cry for greater understanding: "In other words, if you do not accept living under the most radical, extreme ideology on the earth, Islamic (sharia) law, than you are filled with 'confusion, hatred, intolerance and discrimination.' ... The media has signed our death warrant as a civilization." So it was a good background, done with enough care to fool anyone - and in such a reasonable tone as to leave barely anything for even the biggest islamaphobe like Gellar to seize on. I have to give credit where it's due: O'Keefe's people are good at their pranks and put in the work (right down to ensuring adequate supplies of lube when necessary). So then two guys from this fake group meet with two NPR executives, and tape the two hour lunch. They mention how they want to donate something like $5 million to NPR, and then proceed to say things ranging from biased to downright racist - waiting to see if they're contradicted - while they do their best to draw out some objectionable chit-chat from their dupes. [P]ardon me if I'm not outraged that 1) a pair of NPR officials hosting potential donors would merrily slag conservatives, Republicans, Tea Party members, and other non-liberals or 2) display temporary deafness when deep-pocketed potential funders say ugly and demented things. Basically, if you’re not an ivory tower educated elite, they attacked you. Even more shocking -- the NPR executives thought they were meeting with members of the Muslim Education Action Center (MEAC). The two undercover reporters actually told NPR the group was founded and funded by the Muslim Brotherhood! "So you asked about our organization... and we contribute to a number of Muslim schools - Orthodox Muslim schools - across the U.S., and more recently we've contributed to some universities... our organization was originally founded by a few members of the Muslim Brotherhood in America actually." Especially in the rapid-fire delivery by Ibrahim near the end, it sounds a lot less like they're talking about being "founded and funded by the Muslim Brotherhood" and more like at some point in the past ("originally") some people left the Brotherhood to make this new organization or something like that. The things they actually got Schiller to say are similarly overblown. "The current Republican party, particularly the Tea Party, is fanatically involved with people's personal lives, and a very fundamental Christian - I wouldn't even call it Christian - it's this weird evangelical kind of move [sic]." I don't know - I guess it's unfortunate that anyone, particularly a high executive in NPR, sits blithely by when a potential donor claims that the Jews and Zionists control the media. And it's somewhat worse that they'd be willing to take money from such a person. But it's hard to fault that same executive for having personal (and generally reasonable) opinions about the trends in society. If you pulled this stunt with almost anyone, taping them for two hours, you'd always be able to yank some things out of context to use as an attack. What I do know is that O'Keefe and his crew have long ago forfeited any leeway they might be given: every assumption has to be made that they were trying to set Schiller and NPR up and smear them, rather than do a serious investigation. You can watch the video for yourself and decide just how terrible it is, but for my part I'm leagues away from outrage and more in the quiet-sigh-and-slight-eyeroll stage. UPDATE: The Blaze has analyzed the full video, and points out that most controversy is again the result of selective editing. [T]he clip in the edited video implies Schiller is giving simply his own analysis of the Tea Party. He does do that in part, but the raw video reveals that he is largely recounting the views expressed to him by two top Republicans, one a former ambassador, who admitted to him that they voted for Obama. When you make a hit piece about liberals and The Blaze, Glenn Beck's news site, is no longer on your side, you know you've got serious problems.